Lake Titicaca Tours: 2019 Updated information about Lake Titicaca Tours from how to get there, itineraries, prices, and FAQ´s! If you are looking for information about tours of Lake Titicaca, visit FindLocalTrips.com where you can compare itineraries, operators and prices. If you are looking for information on the best buses to take to Puno or Copacabana, visit our passes page. If you would like to get more general information on Lake Titicaca, read our tips and guide further down! Lake Titicaca is the highest navigable lake in the world and is accessible from both Bolivia (Copacabana) and Peru (Puno). Tours of the Lake can start at either side. It is recommended to tour each side of Lake Titicaca as each has its own unique features. In order to understand the sheer size and nature of this incredible lake, it is highly recommended you visit both sides of the lake. In Puno there are various tours available which include the world famous floating islands. 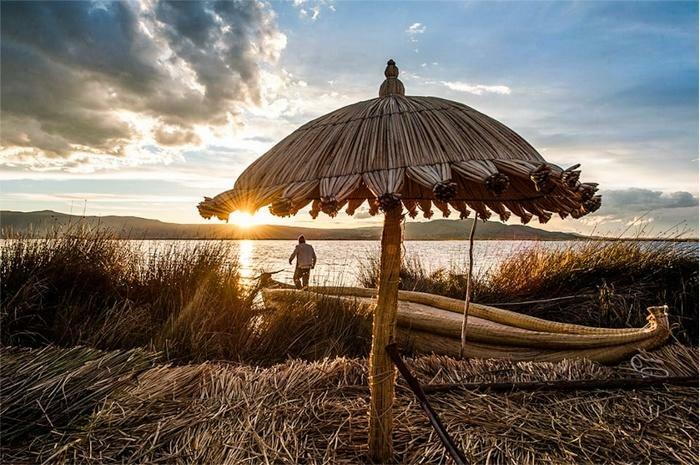 There are many different islands, but the most famous are Uros, Taquille, and Amantani. Copacabana is famous for Isla del Sol or more commonly known as the birthplace of the sun during Inka times. Some of the views on the Isla del Sol are simply breathtaking. 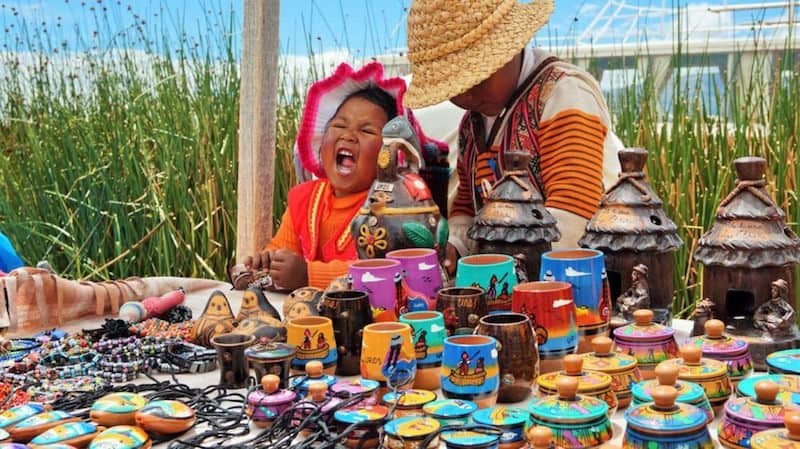 Below we have information about tours on both sides of the Lake, and as with everything, Bolivia Hop tries to ensure our passengers get the best value for their money. We only use the best tour operators who have the best boats and best guides. We do this because these are once in a lifetime experiences that can often be ruined by cheap and badly organised operators. Please note this tour will be booked via FindLocalTrips.com a search and comparison website we recommend for tours across South America. Boat out to Lake Titicaca for a guided tour of the floating islands. 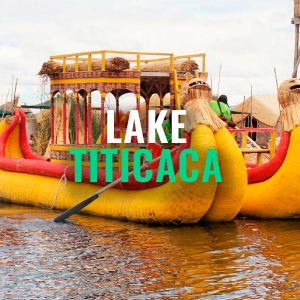 Find out how the Uros people make their home islands entirely from one of the lake reeds, totora, and how they forge a subsistent lifestyle floating in the middle of Lake Titicaca! There are lots of lessons to be learned about the relationship of the Uros people and their natural environment. Out of the ‘totora’ reed not only do they make the entirety of these intriguing floating islands on which they live, but it also contributes towards shelter, transport (reed boats) and nutrition. The totora reed is also a source of iodine traditionally used to prevent thyroid tumours, and even has pain and hangover relief properties. Wear warm layers of clothing as it tends to feel colder when the wind blows. Boat out to the Floating Islands of the Uros for a guided tour of the floating islands. 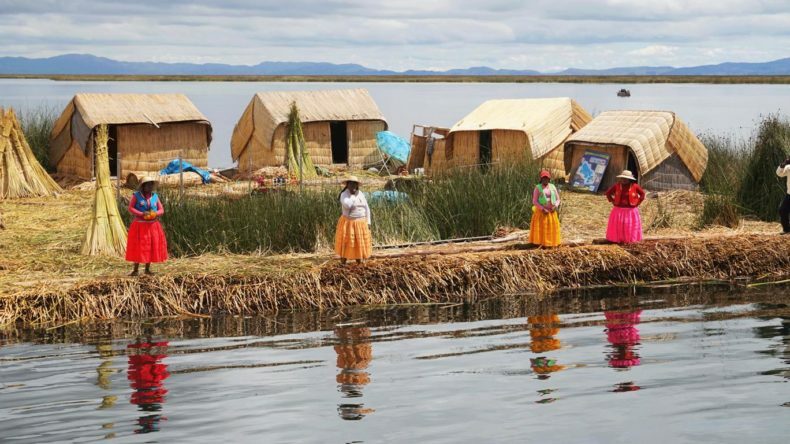 Find out how the Uros people make their home islands entirely from one of the lake reeds, totora, and how they forge a subsistent lifestyle floating in the middle of Lake Titicaca! Boat ride out to the Island of Taquile. Sunbathe on the top deck, or watch the world go by as you cruise the world’s highest navigable lake! Guided Tour of Taquile Island. Learn the traditional history, lifestyle and cultures of the island community until recently closed off to the rest of the world. Includes walk along the island to some of the best viewpoints. Lunch on the island. This excursion begins at 07:45am with a transfer from your hotel to the port. We then depart to Uros floating Islands. We check out 2 of the 60 islands, see inside the houses, and rides on traditional reed boats can also be arranged. Later, after a 3-hour motorboat journey, we arrive to the Amantani Island. 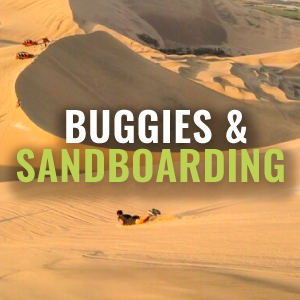 On arrival, you will probably see local families running down the hill to welcome you. There you will meet your designated host family. With them you will have a typical lunch made from natural products. Throughout the day, you will be able to participate in intercultural activities until dinner time. After dinner, you will watch a typical show. The day begins at 07:00am with breakfast with your host family, then depart to Taquile Island. Once in Taquile, we will walk to the village where we will enjoy lunch at one of the local restaurants. When finished, we walk down to the port to return to Puno at approximately 16:00pm and we will then transfer you to your hotel or hostel. According to Inca legend; the principal God, Inti (the Sun God), lived on one of the islands on the Bolivia side of the lake, Isla Del Sol (Island of the Sun). 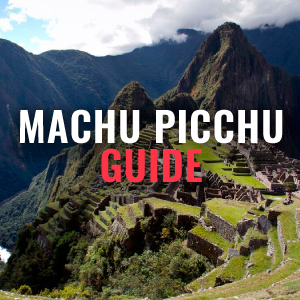 Here he created his son and daughter, Manco Capac and Mama Ocllo, the very first Incas who later travelled north to find Cusco at the heart of what would become the Inca Empire! The Inca Stairway consists of 206 steps built by the Incas, which lead up into the Southern town of Yumani and to a sacred fountain. Made of stone and having three separate springs, it is said to be a fountain of youth. Bolivia Hop operates our own private boat service to and from the stunning Isla del Sol every day. Our boats are safe and secure, and very importantly they contain 2 motor powered engines unlike public boats that only have 1. This means our boats are faster and more powerful, meaning they get you to and from Copacabana quicker and thus giving you more time on the Island. Sit on the top deck in the sunshine, relax, and bask in the stunning surroundings. NOTE: This is a private boat and NOT a guided tour, you are free to explore the Isla yourself and even stay 1 or 2 nights and take a boat back a different day. We provide you with our own map of the Isla del Sol clearly marking all of the best points to see on the Isla. 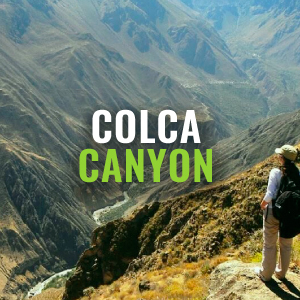 The 4 hour round trip will take you to the southern part of the island – the Pilkokaina Pre-Inca Sun Temple, the Inca Stairway and Fountains of Youth, and the southern port of Yumani. Journey time to/from the island itself is around 80 mins (weather dependent) so you enjoy at least an hour on the island itself. Our private boat will dock at the ancient sun temple Pilkokaina where you can hop off and walk the length of the southern coast to the southern port of Yumani, passing by some of the very best viewpoints of the island! Public boats arrive and depart from Yumani itself, which does not allow enough time to get up to these amazing photo spots! Wish to see more of the island? If you have time, we highly recommend to stay overnight and trek the length of the island for the best panoramic views of Titicaca. Due to the flexible nature of our tickets you can book and pay for the Isla Del Sol Boat Trip onboard the bus with your Bolivia Hop guide on the way to Copacabana. There is no need to book in advance. Last minute availability is not an issue. If you have already paid for it online when you bought your Bolivia Hop pass just let your guide know the date you want to do it and he will confirm the reservation for you. It can get chilly on the boat so it is recommended to bring a wind jacket or jumper if necessary against wind/spray. If you are planning to stay on the island then warm layers are required at night. Trainers / comfortable shoes for those planning on doing the hike (45-60 min walk). It can be very sunny so do not forget your sunglasses, a hat and sunscreen. Camera or cell phone to take pictures – always ask permission before taking photos of the island people. Bring enough money with you should you wish to stay overnight as there are no cash ATMs on the whole island. 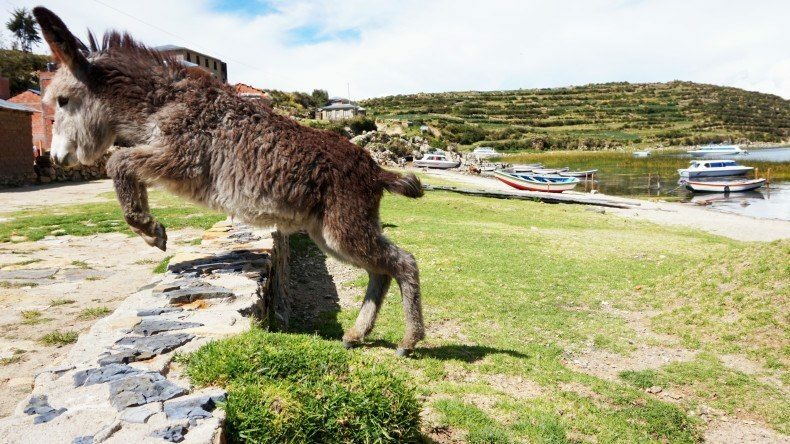 Is it safe to do the boat trip to Isla del Sol? Absolutely! Life vests are provided to every passenger onboard the speedboat. The boats have regular maintenance checks to make sure everything is perfect for the tours. Our Bolivia Hop boats all have a twin motor for safety, and to ensure that we spend the maximum time out on the island. I see from the timetable that the bus leaves at the same time the boat returns. Can I arrive to Copacabana, do the 4 hr round trip to Isla del Sol and continue the very same day? Yes. Our buses and private boats are scheduled around one another to allow you to do all this in one day as required. The Bolivia Hop bus will be waiting at the port to pick you up after the boat trip to continue your travels. I will be doing the day trip to Isla del Sol and continuing the same day to my destination. Do I need to take my bags with me on the boat trip? If you are not hopping off to stay in Copacabana then you can leave your bags on the bus. The bus will be locked and bags will be safe until you take your onward journey that same afternoon. Does the price include the island entry fees? Do I need to take extra money? Yes, the price includes the associated island entry fee in Yumani. Note that if you opt to stay and visit other parts of the island, then additional community entry tickets apply. In the case you want to purchase any food or drinks please ensure you bring cash. REMEMBER: There are no ATMs on the island so bring enough cash (in local currency, Bolivianos) for your stay. Does the boat go to the North Side of the Island? No, it is only possible within a 4 hr round trip to reach the South side of the Island. There are more accommodation options in the South of the Island than in the North. If you are staying the night and wish to see the whole island, we recommend that you take our boat out and stay in the Southern town of Yumani. There are public boats that leave from there early in the morning to the North part of the island. You can visit the Northern ruins and beaches and then walk the stunning 8 km (5 mi) hike along the length of the island back to Yumani in time to get a boat back the following afternoon. Does the boat also visit the Moon Island? No, within 4 hours it is only possible to visit one of the islands and Isla Del Sol is much better to visit. I want to stay overnight on the island can I return back on the boat on another day? Yes, you can take the boat out one day and return on another no problem –we have boats DAILY! The boats depart from Yumani Town Port at 3:30 pm at arrive back into Copacabana at 5:00 pm should you want to catch the 5:00 pm bus to Peru directly. I will be staying the night on Isla Del Sol. Do I need take my bags with me on the trip? You must take all your luggage from the bus but if you are staying in Copacabana you can ask your hostel to store your big bags until you return. Remember that the lake is at high altitude so it is advisable to plan ahead and go with only what you need. 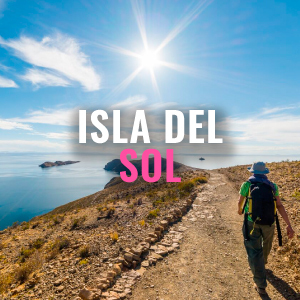 If I wish to stay a night on Isla Del Sol do I need to book a hostel there in advance? There are lots of choices for accommodation on the island which vary in price and luxury. The majority are basic lodging that the local families have built as extensions to their family homes. The higher you go up in the village of Yumani the better the views are, so it is worth the extra leg work. There is no internet on the island so it is not possible or necessary to reserve in advance. Just take a look when you arrive and choose what suits you best! Yes, this is something beyond our control. Very often it is too windy and the lake can be too rough to travel. In such instances the Navy close the port for safety reasons and NO operators are permitted to leave. Unfortunately this is not easily predicted and the decision is made at the port that day. 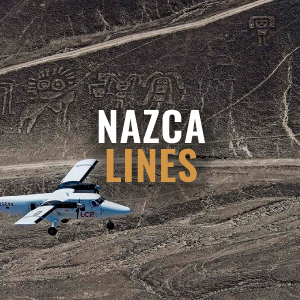 Should your tour get cancelled last minute due to weather conditions and you have already paid for it, you will be given a full refund in one of our Peru Hop offices or in our Bolivia Hop office in La Paz. I do not feel well and wish to cancel my tour for the next day? If cancellation is made the day before the trip, a full refund can be provided in one of our Bolivia Hop or Peru Hop offices. If you cancel less than a day before no refund is given.